You must be 18 years old or the age the country you live in deems you an adult responsible for yourself to apply to be a student. Anyone under the age under that age has to have a parent/guardian write to us from their own email address after they have read the application and/or want is to answer any questions about The Craft and/or myself they may have before we review your application. Before we accept anyone as a student we ask them to answer the following questions. Please scroll down to read what we expect from our novices and what they can expect from us before answering and emailing Lady Beltane your application. If you are entering the Adept course all the Novice expectations need to be met. Send it to covenlifeascoven@gmail.com. The Novice Course is $35.00 USDsnd the Adept Course is $45.00 USD payable upon your application being accepted before you receive your first lesson. We can set up a payment plan payments if you can not afford to pay your course fee all at one time. For Novice Course it breaks down to 3 payments plus $3.00- the 1st one due at the time your application is accepted, 2nd before we will send out your 5th lesson, and the 4th before you receive your 9th lesson. The payment plan for the Adept course breaks down to 4 payments plus $4.00 – 1st payment due before you receive your 1st lesson, 2nd payment due before you receive your 4th lesson, 3rd before you receive your 3rd lesson, and the 4th at the end of your first year of study as an adept. You will need to write to us explaining why you need a payment plan. Payment plan explanation for both courses will be reviewed on a person by person basis by Lady Beltane and Coven Life’s ELders The decision to grant a payment plan will be made by Lady Beltane and the Elders. You will receive an email within 72 hours telling you your payment plan has been granted or not. The fees cover all lessons, coven gatherings, Open Chats, and 1 on 1 help from Lady Beltane and/or our coven Elders, helping to keep this website and chat room going. The course fee for novices or adepts is nonrefundable in any part if you decide to quit lessons or are dropped for not meeting the expectations of the study level you are at. Use DONATE button on Homepage to make you class fees payment, please. Thank you! We expect all lessons to be done in order and completed before sending them to us. One of the Elders will then review it and email you back with any corrections that need to be made and/or if further research is needed on any of the questions or we will email your next lesson. All Adept lesson with a due date please do not send your lesson in earlier. Even if you do not have a lesson ready to turn in every week, which is fine, we expect a short email every week you do not turn in a lesson from every student it does not whether you are a novice, an adept, a priest, or a preistess just so we know you are still interested in studying with Coven Life. It can be very short like saying is. If we do not hear from you for three weeks in a row we will believe you no longer wish to study with us and remove your email address from the Coven Life email list emails. We realize there are times health issues or emergencies happen if possible email us or have another person email us that you are sick, there has been in us a family emergency, just had a baby for these reasons we will keep your email address for three more weeks for a total of six weeks before deleting you completely. If this happens please write to us or ask someone to write for you so we know you are still interested and if the coven can be of any help. If at any time during your study level you chose to quit studying with us, we would appreciate an email letting us know you are exiting the classes and coven need an email telling us you no longer want to study with us and a reason as to why you are quitting. As it might be a simple reason and we might be able to work something out to keep you studying with us. Remember course fees are nonrefundable. The Elders are available by email or to meet in the chat room if you need help with a lesson or have any questions about The Craft. These meeting when at all possible should be set up a minimum of three days in advance. Lady Beltane or one of the other Elders will hold an OPen Chat on the 3rd and 4 Saturdays every month that all student whatever level you are at must attend at least one of these Open Chat. The meeting times and date can be found on Coven Life’s Hompage under Coven Life Events on the Coven. Important information on lessons and/or other topics can come up that are not covered in the study material. There are online coven gatherings on every full or new Moon and Sabbat have a socialization time from 6:00 to 7:00 PM CT with the Circle being cast at 7:01 PM CT. The ritual lasts about one-half hour for each gathering. You have to attend the monthly Esbat and 8 Sabbat gatherings. 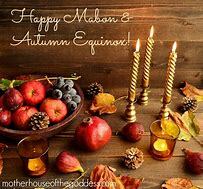 As the Esbats and Sabbats fall on different days of the week according to the Moon’s cycle and Wheel of the Year so we can not give a set date that we hold them on every month, please check the Coven Life website under Cove Life’s Events for the date of each Esbat and Sabbath gatherings. The entire ritual will be posted in advance of the gathering. If you cannot make it to a gathering or one of the Open Chats send us an email explaining why you will not be there. Please check the Coven Life website at least once a week for a post you want to read. You must leave at least one comment on one post every week so we know you are checking the website for posts that can further your education in The Craft. Before the sacred circle starts at 7:01 PM Central Time in the USA anyone entering the chat room is welcomed to socialize with anyone else that is there. You can ask questions about lessons or anything else. This is a great time to get to know your fellow coven members better. Read the Guideline for the Chatroom in our Homepage before entering the chat room for the first time, please. Once the circle starts ALL SOCIALIZING AND COMMENTS unless asked for in the ritual must stop. You will get one warning if you break this guideline. If you do it a second you will be asked to and expected to leave the gathering immediately. There will be no exceptions to this guideline. Anyone attending a gathering is welcome to stay after the circle is done to visit with the others and/or offer other ideas for the ritual performed at that gathering. Any Witch or Pagan is welcome to join us either for our open chats or Esbats and/or Sabbat gatherings. Look at the banner on the left side of the page for information on upcoming Coven Life events, They are all held in the same Coven Life’s Chatroom The number one guideline for this chatroom is to treat others in it the way you want them to treat you with dignity, kindness, respect and as an equal. No one will be allowed to use foul and/or rude language in the chat room at any time during an Esbat or Sabbat gathering or during the open chats. Anyone not following this guideline will be banned from the chat room immediately forever. No one will be allowed to use hurtful or hate-filled words at any gathering or open chat. Anyone not following this guideline will be blocked from the chatroom forever. This is not a dating site if you attempt to hook up with anyone in the chatroom, you will be blocked for entering it again forever. These are simple guidelines and show courtesy to all coven members and visitors. Not obeying all of the guidelines will get you banned from the Coven Life chatroom forever. For any, of the open chats please come and go in the chatroom as often as you like. Before the sacred circle starts at 7:00 PM Central Time in the USA anyone entering the chat room is welcomed to socialize with anyone else that is there. Socializing time starts at 6:00 PM CT for Esbat and Sabbat gatherings Ask Lady Beltane questions about lessons or anything else. During Open Chats please come and go anytime you want to. Please check our Homepage under “Coven Life Events” for dates and times of the open chats. Once the circle starts ALL SOCIALIZING AND COMMENTS must stop unless you see the word EVERYONE in the ritual. You will get one warning if you break this guideline. If you do it a second time you will be asked to and expected to leave the gathering immediately. There will be no exceptions to this guideline. If you do not leave you will be banned forever from ever entering Coven Life’s chatroom again. No one should enter or leave the chat room from 7:00 PM CT until the circle is finished. To enter or leave the chat room (computer knocking you out of the chat room during this time is the only exception for re-entering the circle) during this time breaks the circle and whoever is leading the circle needs to take their time and energy to close it up again. All electronics in the room you are in during the gathering should be shut off except for the device you are using to access the chat room. I am new to posting on this site and I have sat and thought about what to say many many nights and I think I have finally come to a conclusion on what it should be. When I was first starting out on my path I had no where to turn to. I had no idea what I was doing really, and I was COMPLETELY confused as to where I should start. After a while of doing things on my own I searched and searched for some kind of online classes so that I would have some kind of structure in my studies but everything was way to expensive. And then I found Lady Beltane here on her page. My long, yet short, journey to this page has led me to wanting to help new and budding witches find things they are looking for. To help them like I wished someone would have helped me when I was first starting out. I know that a lot of the people who visit this site are already training with Lady Beltane in some form or fashion but I was a newbie once that stumbled upon this page so I know there will be others. And I do apologize if this post is very long and/or redundant for some of you. For those of you who have stumbled upon this site who want to train with Lady Beltane, or who is just looking for more information for your solitary path; please know that you are not alone. I know it can feel very overwhelming, and it can make you want to turn away from the path because it can be confusing. Honestly, you will be confused a LOT. But remember that it will all fall in to place the more you read up on things and the more you do things. Wicca and Paganism is full of wonderful mysteries, and they are meant to be confusing until they reveal themselves to you when you are ready. So for those who are new, who have NO idea where to start, I leave you with this. There will be a plethora of books out there for you to read on the basics of Paganism and Wicca. One of MY personal favorites is Wicca for the Solitary Practitioner by Scott Cunningham: I found it the most helpful and resourceful. It covered almost everything I could have needed to know at the onset of my path. I am part of a group on facebook for new witches and I see a lot of questions about things that I wouldn’t have been comfortable with as a budding witch. Don’t be too worried about your Book of Shadows just yet, its something you can put together once you get further into your studies and actually understand what it is. I have seen a lot of people stress about this and they have no idea what Wicca or Paganism really is or if it really is for them. And spells, they are complicated to try and understand at that level, and its not recommended for you to even try one until you know what you are doing for too many reasons to count. Tools, don’t feel rushed to get them. Take your time, learn about them, understand what they are and what they are used for because I can tell you now, you won’t even use most of them. This is the time for you to gather up all the information you can; the history, the basic understanding of what Wicca and Paganism is, about the culture, about the beliefs, the different aspects and pantheons; its a time for you to morph your own truths and beliefs about everything, you are finding out who you are in this new world. There is a wealth of knowledge out there for you to find! Don’t stress, don’t put a time table on things, and do not put expectations on anything. And never EVER forget that there are a lot more out there like you who are more than willing to help you out and answer your questions. Our novice witch class gathering is this Saturday, October 10th at 4:00 PM CT. If for some reason you cannot attend please let me know. Thank you.